Lithuanian Talmudist; born at Wilna; died at Minsk Dec. 23, 1816. After studying Talmud under Solomon of Vilkomir he settled at Minsk, where he became head of the yeshibah. 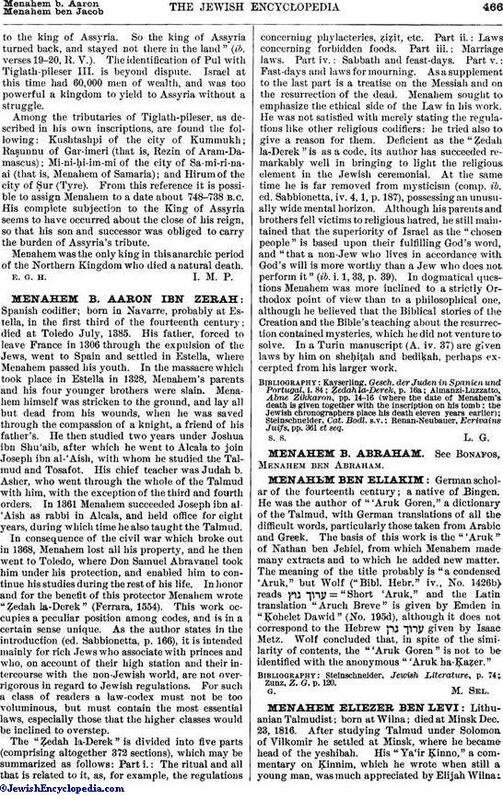 His "Ya'ir Ḳinno," a commentary on Ḳinnim, which he wrote when still a young man, was much appreciated by Elijah Wilna:"Menahem Eliezer was aided by Heaven to find the meaning of this difficult treatise, in which so many commentators have failed." 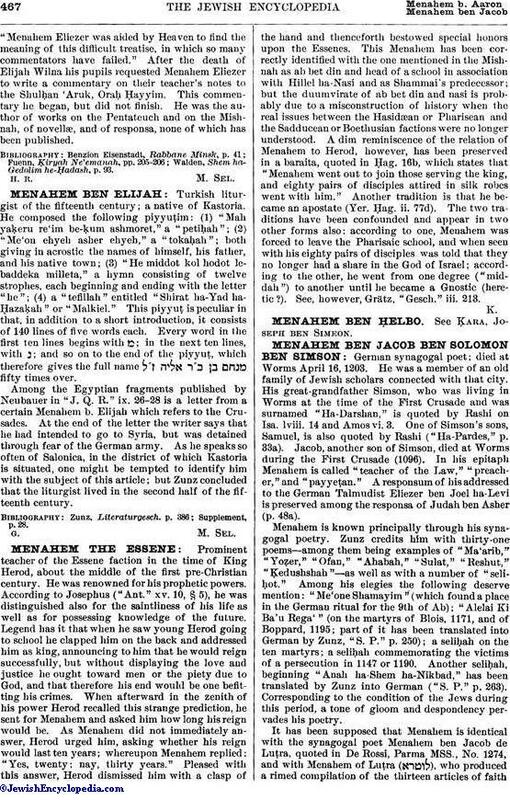 After the death of Elijah Wilna his pupils requested Menahem Eliezer to write a commentary on their teacher's notes to the Shulḥan 'Aruk, Oraḥ Ḥayyim. This commentary he began, but did not finish. He was the author of works on the Pentateuch and on the Mishnah, of novellæ, and of responsa, none of which has been published. Walden, Shem ha-Gedolim he-Ḥadash, p. 93.